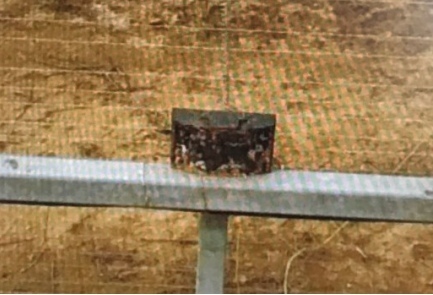 One of the explosive devices found at the Israel-Gaza Strip border fence. Photo: IDF Spokesperson’s Unit. JNS.org – Israeli security forces Tuesday neutralized two explosive devices placed on the Israel-Gaza Strip border.